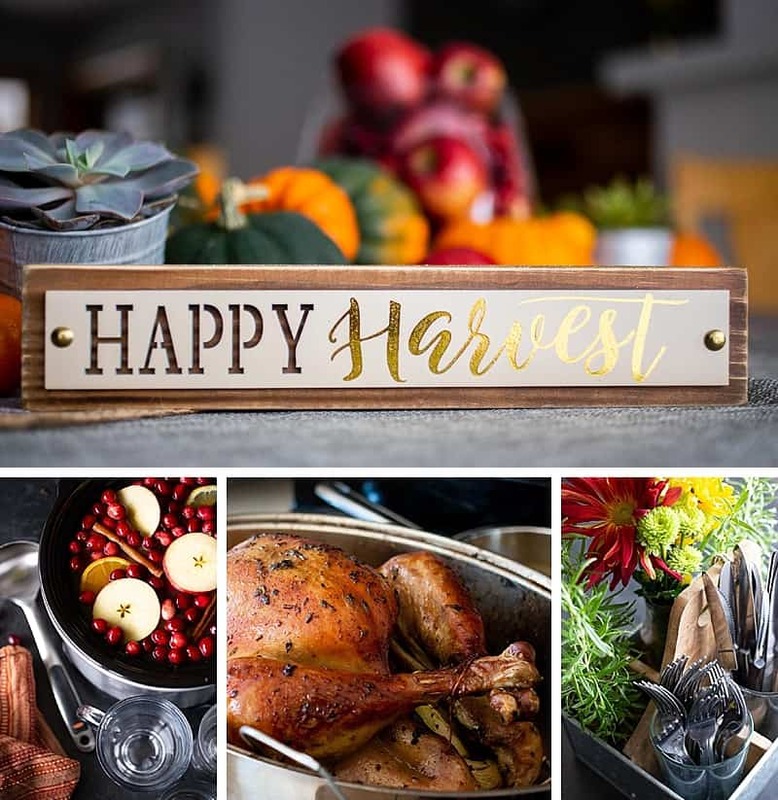 Thanksgiving can be one of the most joyful — and challenging — holidays to host. 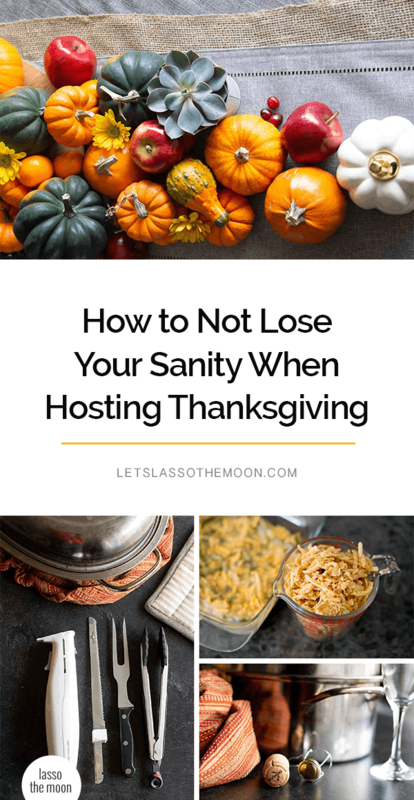 Below you’ll find twelve tips to ensure you keep calm and centered so you don’t lose your mind when hosting Thanksgiving this year. Intense planning, preparation, and coordination. Thanksgiving continues to be notoriously the hardest holiday to host because of the focus on the meal. Below you’ll find 12 time-saving tips to help you keep your sanity when hosting this year’s holiday feast. Skip the chaos and the panic, and give yourself the gift of ease with these holiday suggestions! 1. Keep your Thanksgiving menu simple. Become a Thanksgiving minimalist, and stick with just the basics — turkey, mashed potatoes and gravy, a veggie, and dessert. Then . . .
2. Use “best in class” recipes. When an extended family member freaks out upon hearing your simplified menu — and argues how it’s just not Thanksgiving without a sweet potato casserole with marshmallows — offer to . . .
3. Make Thanksgiving a potluck. Thank the person for the idea, volunteer to make just the turkey and gravy, and open up the meal to a potluck format! Then, give your vocal relative (and other trusted family members) assigned side dishes and desserts to pre-make and bring. Encourage slow-cooker recipes for the sides to ensure that oven space doesn’t become an issue for you! Pour two-thirds of a bottle of champagne inside and outside of the bird. Then, use the remainder of the champagne for mimosas while you wait effortlessly for your turkey to bake thoroughly (till the thigh reaches 180 degrees). Let the turkey stand for at least 20 minutes before carving it to ensure a juicy bird. 5. Skip the trip to the grocery store. Save time driving to the store, standing in line, and driving home by ordering online and having all your holiday-meal groceries delivered. 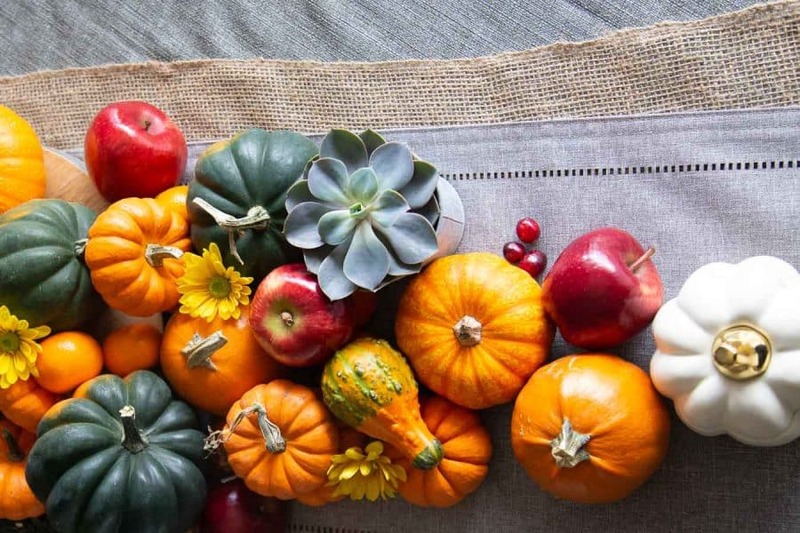 You can find everything you need for Thanksgiving (from turkeys to fresh veggies, fruit, and flowers!) online. It’s so easy. 6. 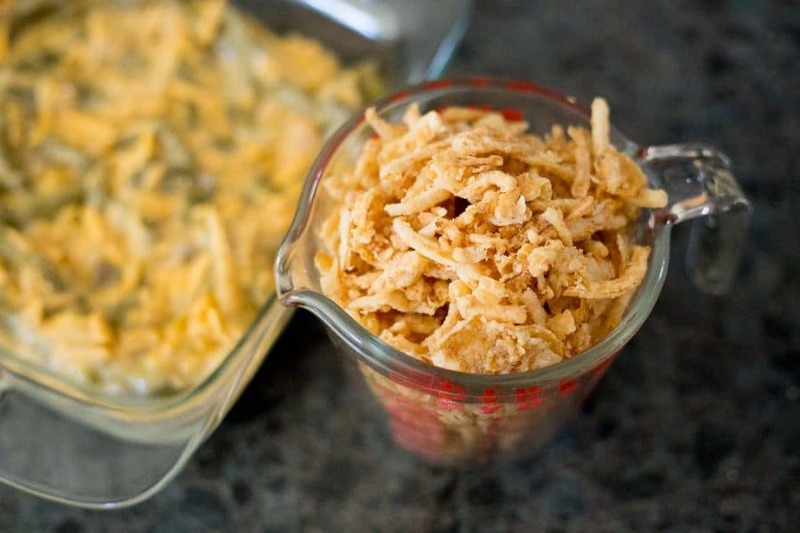 Pre-make as many side dishes as possible. If paring back or hosting a Thanksgiving potluck seems more stressful than doing the cooking yourself and knowing exactly what you’ll be serving, consider pre-making as many side dishes as possible. Here are seven different make-ahead holiday dishes that will save you a TON of time on Thanksgiving Day. 7. Have Thanksgiving activities for the kids pre-planned. If you’ve got little ones underfoot, have a few pre-planned activities in your pocket. This will help you keep your cool and help keep them entertained. I particularly love this free “I am thankful” printable and this handmade gratitude bunting project. 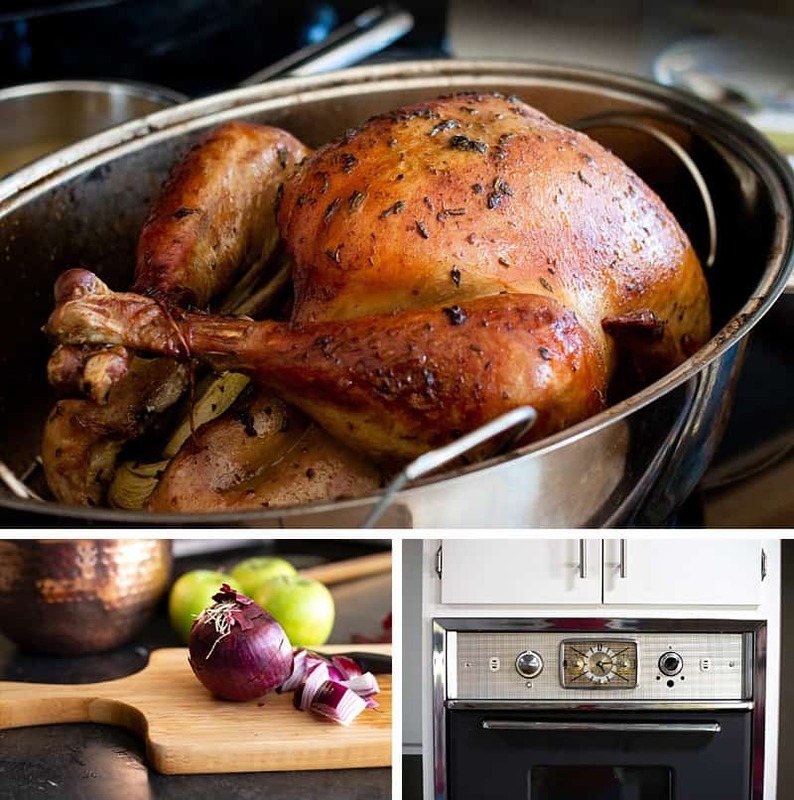 For more inspired ideas, check out this great list of 30+ Thanksgiving activities for kids! 8. Offer guests a self-served cup of good cheer. There’s nothing more inviting than the aroma of hot mulled cider in the slow cooker. This simple make-ahead recipe allows you to be a good host, without pausing to offer every guest a drink upon arrival. Before guests arrive, set up a self-serve station with mugs, whipped cream, and a bit of liquor. 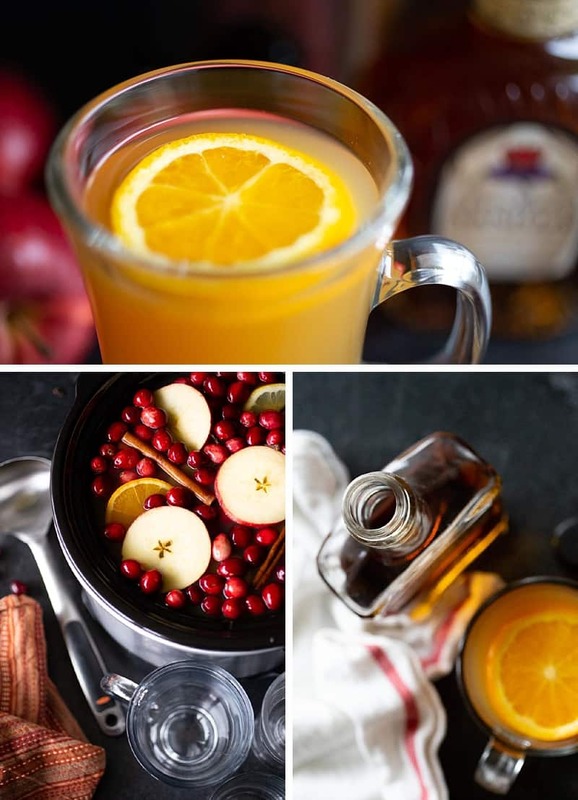 Adult guests love the option to self-spike a delicious mulled cider! 9. Put it on a decorated platter. One of my favorite Thanksgiving tricks is to make a store-bought menu item “homemade” by adding a dash of love. For example, I’ll buy a frozen pumpkin pie and make it homemade by adding my own fresh, pecan-strudel topping when baking it. I have a friend who buys pre-made desserts but then takes the time to lovingly prepare her own fresh, homemade whipped cream to dollop on top. My family actually LOVES canned cranberries. 12. Make cleaning up and doing dishes a full family affair. Talk to your partner, kids, and extended family ahead of time. Let them know you want to be able to enjoy the day with them, so you’ll be expecting help from everyone after the meal is served. Hold off on serving dessert until everyone has played a part in cleanup. 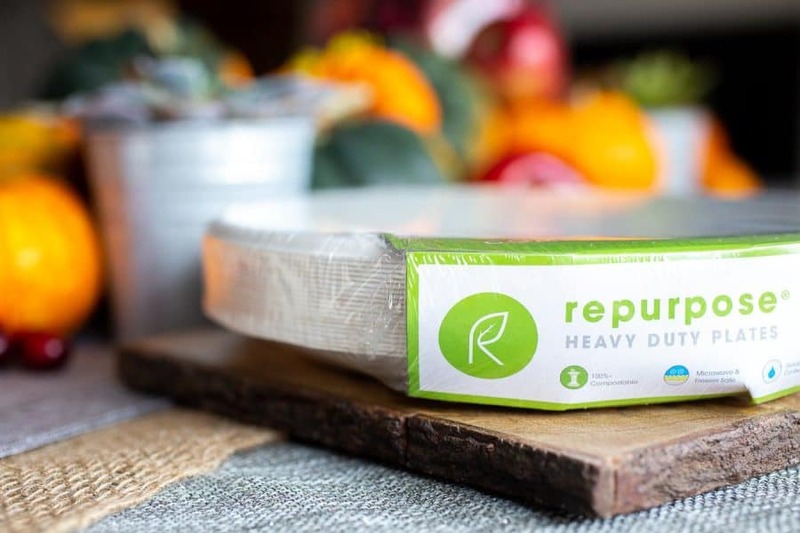 If you know you’ll struggle with getting cleaning support, consider simply using sturdy paper plates and serving Thanksgiving “buffet style” this year. Cleanup couldn’t be easier. Then later, use your beautiful, small China plates to serve dessert and coffee! With this approach you have a small number of stackable dishes at the end of the night, making it is easy to just pop them in a pre-filled sink with soapy water. Skip the guilt and let them hide under the bubbles. The best part? The last memory on your guests’ minds is being served in style! BONUS TIP: Change your perspective. 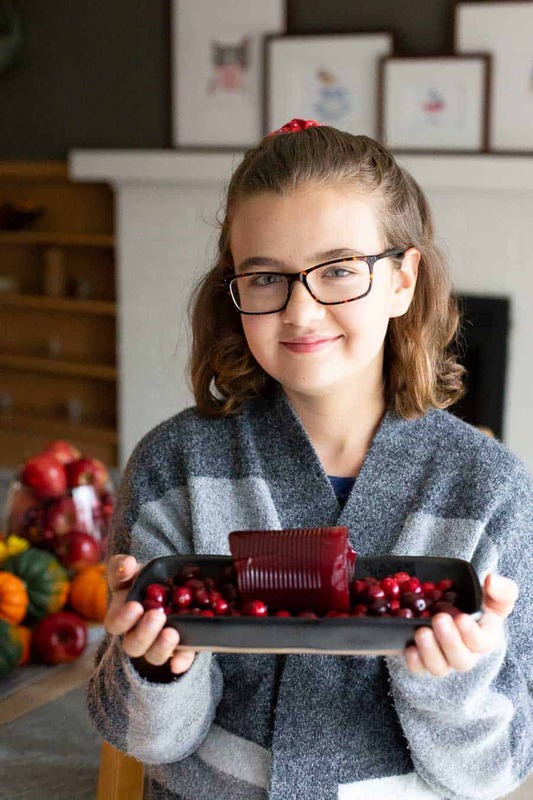 This Thanksgiving, get your kids in the kitchen helping with prep work, have them help decorate the house, and give them specific hosting duties. You think getting your kids involved makes each of these tasks MORE time-consuming, right? But let me explain . . .
Thanksgiving is about gratitude, love, and family. Skip planning the perfect holiday, and use the 12 time-saving tips above to buy yourself some time to connect with your family this year. It’s okay to change traditions. Time with your family is a GIFT . . . Give them the gift of your presence this year. 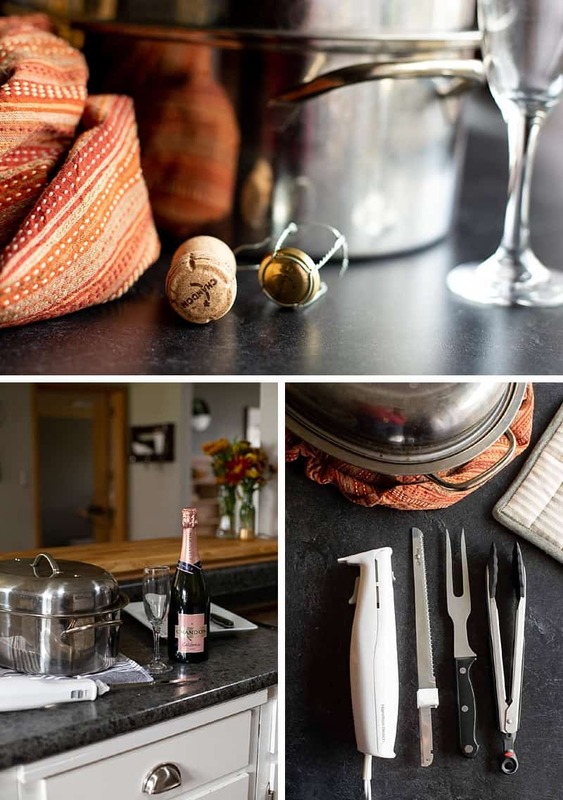 Simplifying means you can focus on hosting the holiday WITH your family (not FOR your family). So, let your kiddos help prep the table. Work with them to create a Gratitude Garland to hang. 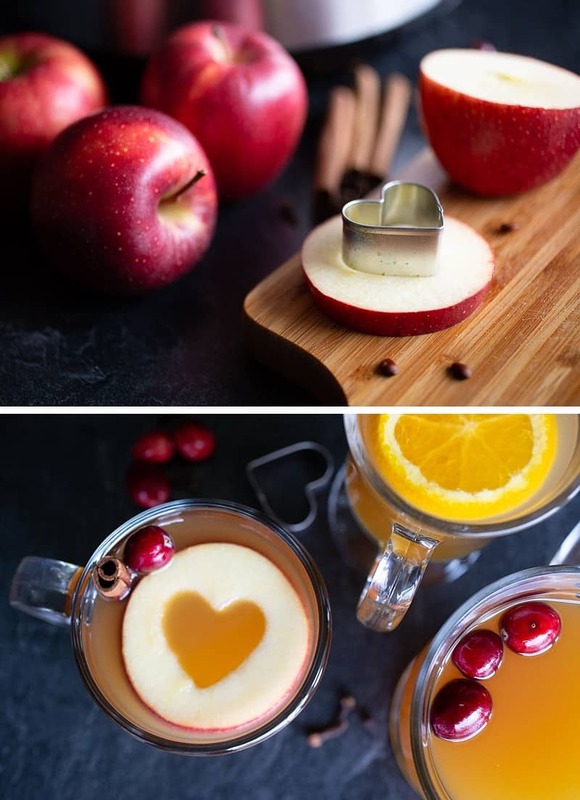 Have them create garnishes for the mulled apple cider (my kids love making these simple apple hearts). One of my fondest Thanksgiving memories is getting up early with my mom to help chop fresh mushrooms, celery, and onions for turkey stuffing. I loved being part of the excitement of the day! These adorable wood seasonal signs are a great daily gratitude reminder. We split a small bouquet of yellow daisies into milk jug containers to add a touch of Thanksgiving color around the house. 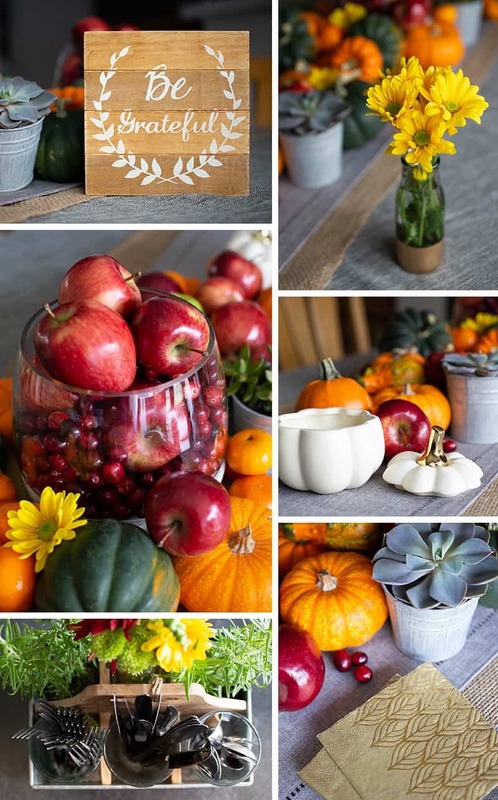 We also sprinkled daisy heads between mini pumpkins, gourds, and apples over the table runner! Versital centerpieces! I picked up a stone based succulent planter and filled it with fresh apples and cranberries. After the holiday, we’ll use the cranberries to make cream cheese cranberry bars. So good. When I saw this gold stem pumpkin candle… it made my heart smile. I bought it for Halloween, and then we upcycled it for our Thanksgiving tablescape! I love this galvanized iron and wood utensil caddy. I added a small bouquet and a bit of fresh rosemary on each side to spruce it up for the holiday. Last but not least, I am a sucker for succulents. After the holiday, I am excited to have them on the shelf near our kitchen window.